We’re your key to safe driving for life! With 50 years of teaching experience and 200,000+ safe drivers. Offering fun and innovative classroom and online programs through our engaging, proprietary curriculum; state-of-the art training vehicles and instructors exceeding the state minimum requirements.​ Get State of Tennessee DPS approved online course which reinforces safe and defensive driving. If permitted by a judge, this course can allow you to have your entire traffic citation dismissed and the points are waived. You can also qualify you for lower insurance premiums. I just got ticketed. What’s my next move? Enter one of three pleas: guilty, no contest, or not guilty. Pleading guilty or no contest requires paying the fine listed on the citation. Challenging your ticket means appearing in court to enter a not guilty plea. Regardless of plea, it must be entered before the ticket’s compliance date passes. What happens if I don’t enter a plea? 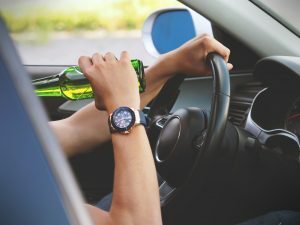 Ignoring the citation will result in a default judgement, leading to the possible suspension of your Tennessee driver’s license and a bench warrant being issued for your arrest. The Tennessee Department of Safety (DOS) will assign points to your driving record based on the violation. The more severe the violation, the higher the point total. Depending on your car insurance provider, points may cause an increase in your premiums. At 12 points the DOS will send you a proposed suspension letter, giving you the chance to attend an administrative hearing. If you fail to respond to the notice the DOS will suspend your Tennessee driver’s license for up to 12 months. If eligible, you can get the ticket dismissed―meaning no fine or points―by completing a court-approved Defensive Driving class. Our Defensive Driving page provides full details. If you opt to challenge the traffic ticket, legal counsel will improve your chances for a favorable decision. 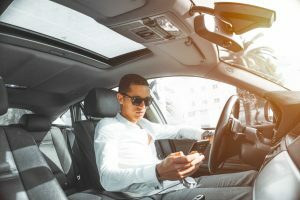 This could mean reduced charges or ticket dismissal, possibly sparing you of points, the possible suspension of your Tennessee driver’s license and increased auto insurance rates. After getting cited, should I expect increased car insurance premiums? Check with your car insurance agent. Each company has different policies regarding traffic tickets. If you notice an increase, consider finding a new provider. You can conveniently compare rates online from a host of different auto insurance companies. I lost my citation? Am I doomed? No, provided you immediately act on it. Traffic tickets are time sensitive, requiring a response before the ticket’s compliance date expires. With this in mind, prioritize contacting the presiding court as quickly as possible. Learn what steps to take in our Lost Traffic Ticket page. Are traffic ticket fines the same throughout Tennessee? Fines vary by county and municipality. The fine amount will be posted on your citation. Direct fine amount questions to the court listed on your traffic ticket. You always want to make sure there are no errors. Plus, check for point awareness. If you know you’re nearing the state’s suspension limit, you may adopt more defensive driving practices. What if I can’t make my court appearance date? Contact the court listed on the citation. Most courts will reschedule a new date if you provide enough advance notice.